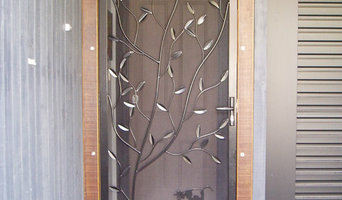 Overwrought Garden Art create unique wrought iron metalwork, including custom design gates, Metal Wall Art, unique custom security doors, outdoor garden furniture and benches, Laser cut privacy and garden screens, bespoke signs, garden art and sculpture. Using a combination of traditional blacksmithing techniques and contemporary metalworking, each item is hand crafted and proudly Australian made. Overwrought's Sculpture Garden and Gallery is located in Blampied only eight minutes from the popular tourist town of Daylesford, which is one and a half hours from Melbourne. In early 2015 we relocated our production and retail outlet from our former site in Daylesford to a five acre property in the lush potato growing region of Blampied, and have spent the last twelve months creating a memorable experience for our customers. Most of the professionals in this category specialise in particular garden and landscape supplies for your outdoor space, from planter boxes to water features. If you’re undergoing an upgrade, they are an invaluable source of knowledge and expertise. A Ballarat, Victoria professional who specialises in garden pots and planters, for example, will not only have a broad range of product available, but will know their terracotta, ceramic and concrete pots inside-out – and which one will best work for you!